Absent from the picture was Trevor Lange, a culinary student, who helped out the Key Club in the kitchen. 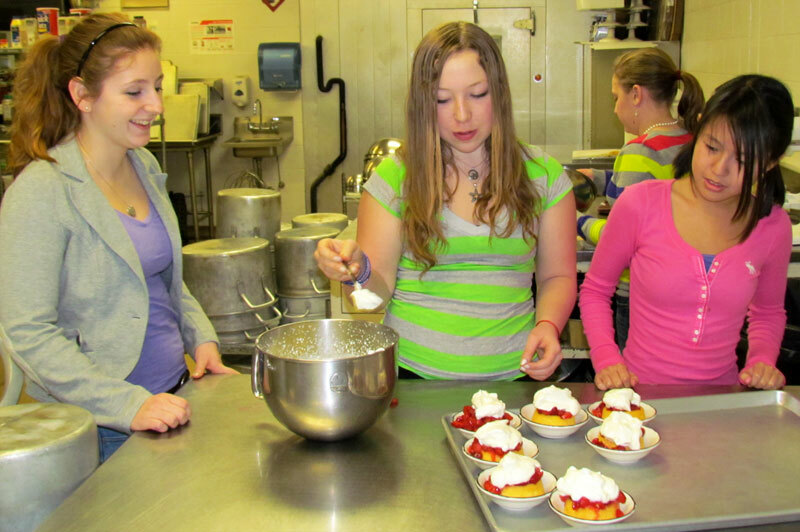 Michelle Ward puts the final touches on the desert while Emilie Maddocks (left) and Lily Chantaksak look on. In the absence of President Scott, First VP Jack Batchelder conducted the meeting. First Vice President Jack Batchelder addresses the group. 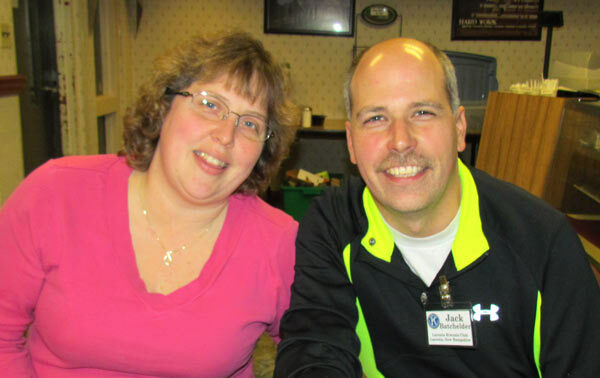 Jack reminded the membership of an Inter-club with the Meredith Kiwanis club on Thursday at 7:30 am, February 14th, at the Meredith Community Center. The Fund-raising Committee has been meeting on a regular basis. Home Run Derby is being planned for June 2nd. Please let Jack know if you would like to assist in this project. 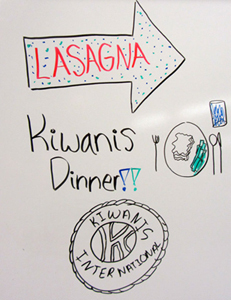 The next Kiwanis KARES will meet March 11th at Woodland Heights. So far three people have signed up. Kevin Irish has been recommended by the Board as a new Director to fill in an unexpired one year term (formerlly held by Adam Cote). During tonight's meeting, a motion was made and seconded and Kevin was unanimously approved by the membership. $5 from Jack Batchelder in honor of the great season he had as coach of the Laconia High School Bowling team. $5 from Steve Loughlin to say thank you for the great customer service he received at NAPA (located at 580 Union Ave., Laconia.) when the store employee assisted him remedy a window wiper issue. Jack Batchelder introduced our guest speaker, Jim McCollum, the principal of Laconia High School. 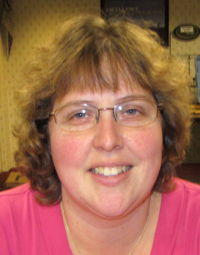 Last fall, McCollum was appointed to his present position at LHS, where he had been assistant principal for three years between 2000 and 2003 before serving a two-year stint as principal of the Newfound Middle School before returning to Laconia to head the Laconia middle school. Jim reviewed several charts showing how academic standards have improved at Laconia High School in the last year. 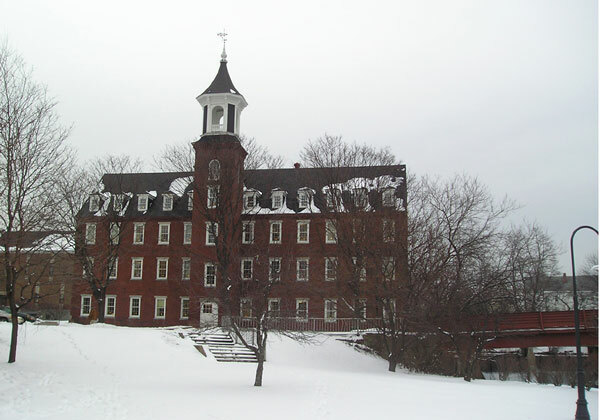 He also discussed several academic classes that are available in achieving college credits. 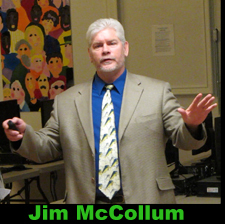 Jim McCollum discusses Excellence for Education at Laconia High School. 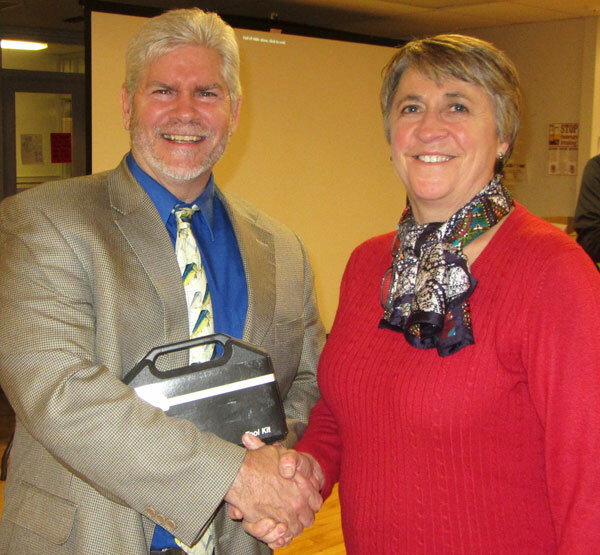 Jim McCollum receives a thank you from program coordinator, Betty Ballantyne. Our next meeting is Monday, February 25th at One Mill Plaza. 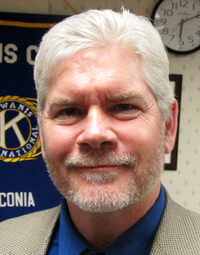 With St. Patrick's Day just a few weeks away, Jack Batchelder will have homemade Irish beer and a bottle of Bailey's to raffle off with all monies going to the Laconia Kiwanis Charity Fund. Tickets will be $1.00 each or 8 for $5.00. 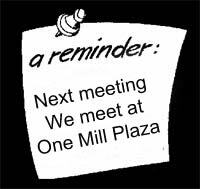 Our next meeting is at One Mill Plaza on February 25th. 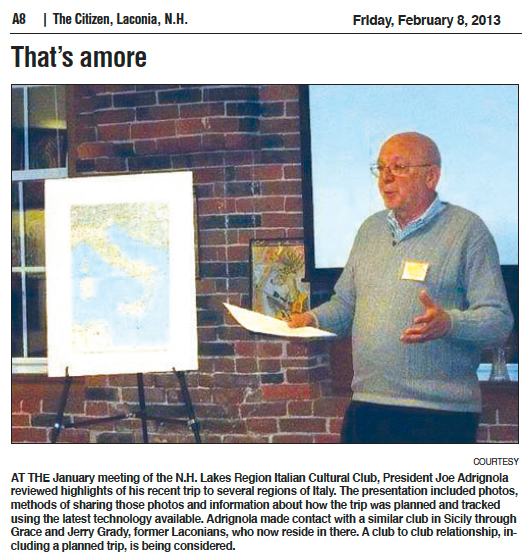 Giuseppe Adrignola says: "Sai parlare Italiano?"